Aberdeenshire residents are being urged not let their pumpkins go to the scary landfill graveyard this Halloween. According to environmental campaign group Hubbub, more than five million pumpkins end up in landfill each year across the UK, after the public carve them up for Halloween. This year, Aberdeenshire Council is encouraging residents to reuse pumpkins by cooking them at home or recycling them in kerbside food caddies, collected from homes every week. How about some Thai Pumpkin Curry? And, if the pumpkin is too big to fit in the caddy, pumpkin and food waste will be accepted at a number of recycling centres across the area from Tuesday, October 31 until Sunday, November 12. Residents shouldn’t worry, the council hasn’t forgotten about the north-east’s traditional carving vegetable of choice, turnips, and accepts these too. The council was recently notified of its recycling rate for 2016 by SEPA, which publishes the figures for each Scottish local authority. Aberdeenshire’s rate is 43.5%, a reduction from 43.7% in 2015. Although the drop can be attributed to higher levels of contamination among recyclates and improved methods of reporting between the council and SEPA, the authority is determined to work with the community in order to boost its performance. It’s disappointing to see the slight decrease in our recycling rate from 2015 to 2016, but we are committed as ever to improving performance and providing residents with the services and advice they need to recycle as much as they can at home, and at our recycling centres. That continues with Halloween fast-approaching. We will be sharing recipes via our social media platforms to help people reuse pumpkins and our Community Waste Officers will be out and about, giving advice about the reuse and recycling of food. Beyond that, we will be accepting food waste at the majority of our recycling centres as we understand these Halloween pumpkins could be too big for the kerbside caddies. 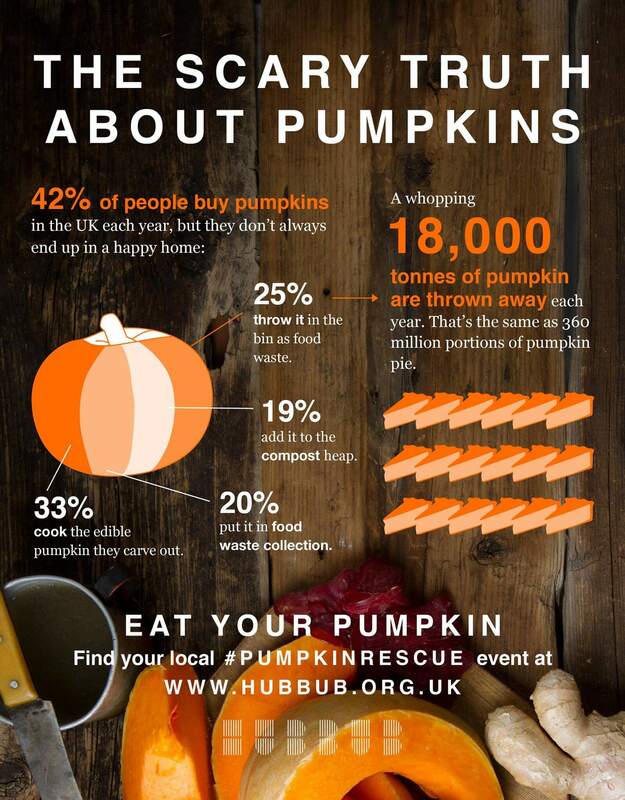 For more information and exciting pumpkin recipes visit the Hubbub website.